BPSC Admit Card 2019: Below are the admit cards published by BPSC - Bihar Public Service Commission / onlinebpsc.bihar.gov.in. The recent Admit Card issued for the recruitment drive is AE (Civil) Main Admit Card 2019. BPSC AE (Civil) Main Admit Card 2019: Bihar Public Service Commission has issued the Admit Card on 19 Mar 2019 for BPSC AE (Civil) Main Exam 2019. BPSC Child Development Project Officer CDPO Mains Admit Card 2019: Bihar Public Service Commission has issued the Admit Card on 14 Jan 2019 for BPSC Child Development Project Officer CDPO Exam 2019. BPSC 63 Mains Admit Card 2018: Bihar Public Service Commission has issued the Admit Card on 08 Jan 2019 for 63 Mains Exam 2019. 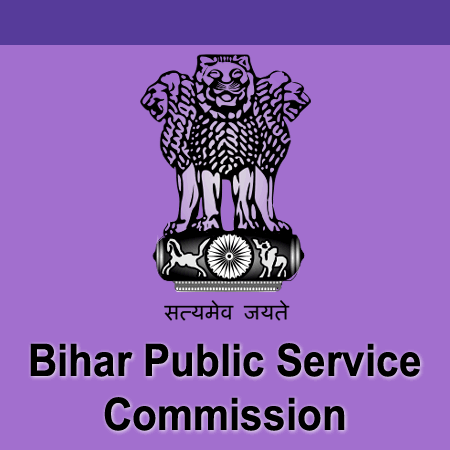 BPSC 60-62 CCE Interview Admit Card: Bihar Public Service Commission has issued the Admit Card on 13 Dec 2018 for the exam. BPSC 64th Pre Admit Card 2018: Bihar Public Service Commission has issued the Admit Card on 27 Nov 2018 for BPSC 64th Exam 2018. BPSC 30th Bihar Judicial Service Prelims Admit Card 2018: Bihar Public Service Commission has issued the Admit Card on 21 Nov 2018 for 30th Bihar Judicial Service Prelims Exam 2018. BPSC 60-62 Interview Letter 2018: Bihar Public Service Commission has issued the Admit Card on 16 Nov 2018 for BPSC 60-62 Common Combined (Mains) Competitive Exam 2018. BPSC Assistant Engineer Admit Card 2018: Bihar Public Service Commission has issued the Admit Card on 07 Sep 2018 for the exam which is scheduled to be held on 15 Sep 2018 to 16 Sep 2018. BPSC Assistant Professor (Political Science) Admit Card 2018: Bihar Public Service Commission has issued the Admit Card on 21 Aug 2018 for Assistant Professor (Political Science) Exam 2018. BPSC Lecturer Admit Card 2018: Bihar Public Service Commission has issued the Admit Card on 20 Aug 2018 for Lecturer Exam 2018. BPSC CDPO Admit Card 2018: Bihar Public Service Commission has issued the Admit Card on 03 Jul 2018 for CDPO Exam 2018. Notification: Apply Online for 30 CDPO Vacancy under Social Welfare Dept. BPSC 56-59th Interview Letter 2018: Bihar Public Service Commission has issued the Admit Card on 30 Apr 2018 for 56th to 59th Common Combined Competitive Examination 2018. BPSC 60th to 62nd Common Combined Main Exam Admit Card 2018: BPSC has issued the Admit Card on 17 Apr 2018 for 60th to 62nd Common Combined Main Exam 2018. Assistant Professor Interview Letter in Govt. Medical Colleges & Hospitals under Health Dept., Bihar: BPSC has issued the interview letter on 30 Oct 2017 for post of Assistant Professor with Govt. Medical Colleges & Hospitals under Health Dept., Govt. of Bihar between 7th-9th Nov, 2017. (Advt. 07/2017, 08/2017, 13/2017, 26/2017 & 29/2017). BPSC has issued the Admit Card on 23 Aug 2017 for the exam which is scheduled to be held from 30 Aug 2017 to 02 Sep 2017. BPSC has issued the Admit Card on 21 Aug 2017 for Assistant Professor in Govt. Medical Colleges & Hospitals under Health Dept., Govt. of Bihar which is scheduled to be held from 28 Aug 2017 to 29 Aug 2017.